For more than 10 years, the property near a busy intersection sat dormant. Deeded to Lubavitch Center of Essex County, it had potential. At least, that’s what Rabbi Baruch and Devorah Klar thought. The space was too small for a synagogue, so the Klars kept paying taxes on a chunk of land that was filled with weeds, but little else. “People kept saying to do something with it,” says the rabbi, who with his wife directs Lubavitch Center of Essex County. N.J. The question was what. 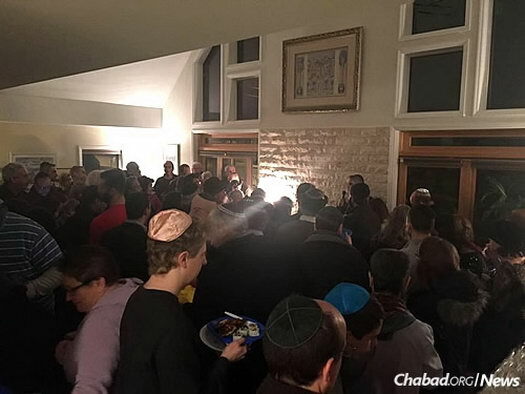 After hearing from a number of people that they got involved with Judaism after spending “Shabbat around the Klars’ table,” a seed was planted. 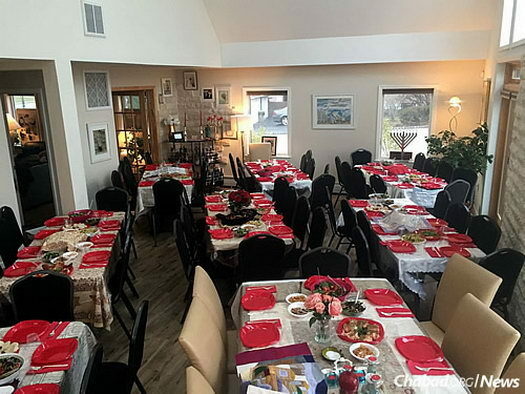 Enter the “Shabbat House,” a place where Jews of all backgrounds and affiliations are welcome to come and enjoy a home-cooked Shabbat dinner together. The Klars began mapping out their plans for the Shabbat House in 2015, with the facility officially opening in August 2016. Since then, more than 1,000 people have enjoyed a Shabbat dinner or holiday meal together. Rhonda Lillianthal recalls how the rabbi once said that for him, every Friday night is a party. “I think that’s what draws us there. It’s a place to really celebrate and be joyful, and to do that as a community,” says this local resident and Jewish communal professional, who serves as the JCC MetroWest director for the Center for Jewish Life in West Orange, N.J. She and her husband, Gary, usually have guests in their home for Friday-night dinner, but will sometimes go to the Shabbat House. Reminiscent of a ski chalet, the building interior is replete with Jerusalem stone and original artwork, a state-of-the-art kitchen and a light-filled main living space with a high cathedral ceiling where dozens of people gather each week for Friday-night dinner. It also has two bedrooms on the upper level, where the couple lives. 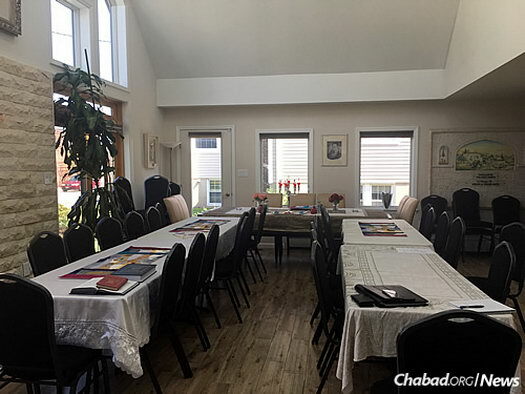 With more than five large tables set up for Shabbat each week, the Klars can easily host between 50 and 60 people, though they have organized the seating for as many as 100. By contrast, their old home fit 40 at most—and that was pushing it. People are encouraged to register, signing up beforehand online, but the Klars always try to be accommodating. All of the kosherfood is home-cooked by them—with the help of a slew of volunteers—and served buffet-style. The couple has three fridges and freezers to stock the abundant amount of items they need to have on hand. 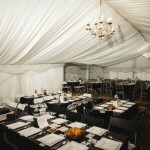 Of course, they note, the Shabbat House is not where you go for a quiet meal. It’s where you go for Jewish company—to meet new people and get an authentic taste of the beauty of the holiday. Guests often share memories of previous Shabbat experiences, be it at summer camp or as children in their grandparents’ home. For the Klars, who also run the Lubavitch Center Judaica store, which sits kitty-corner from the Shabbat House, the opportunity to do something different was definitely appealing. 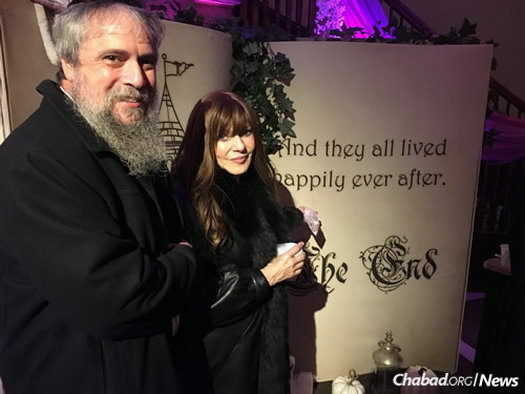 For decades, the couple offered a Jewish Renaissance Fair that attracted thousands of people to Essex County for a Sunday of entertainment and connection to their heritage. They were also the force behind Café Devorah, a weekly Saturday-night, post-Shabbat celebration that offered up Jewish entertainment. Among those who have enjoyed dinner at the Klars are Randy and Gaelle Schneider. 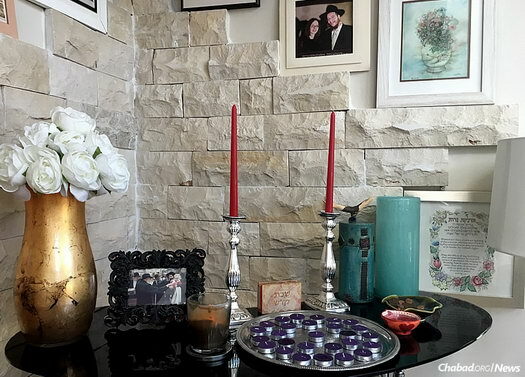 Though not a shul-goer, Randy Schneider, who grew up in a Jewish home and environment, says he has always been intrigued by Shabbat, which his family didn’t observe. 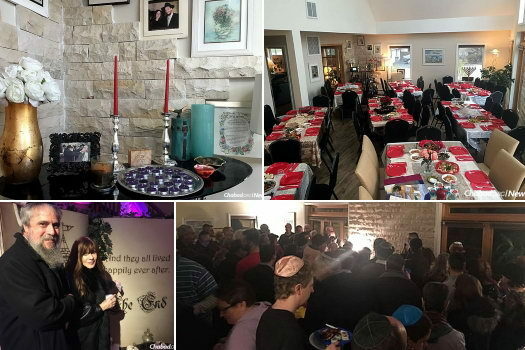 “The feel you get when you walk in is fun and exciting—all of these people coming together every week for an event” centered around Shabbat, says the 48-year-old business consultant. “I’ve been to the Shabbat House four times in the last year, and always come away having had an amazing time and feeling wonderful. He’s now trying to impart that feeling in his own home by having Shabbat dinners with his wife and their four children. That may be the ultimate compliment for the Klars. 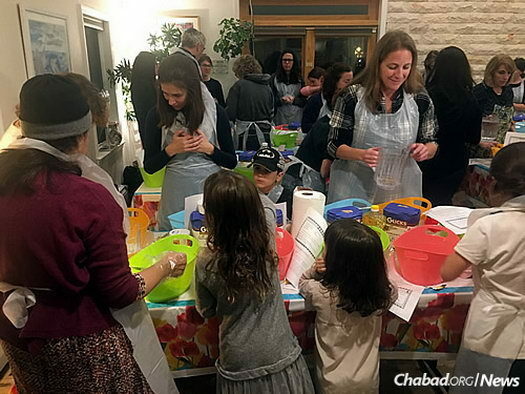 The couple is adding programming beyond Shabbat dinner, like challah-baking and Torah study for women, a “Cholent & Chill” class for men and a Saturday-evening melavah malkah (the meal held after the end of the Sabbath) with live Jewish music. The programs attract varying groups of people, but what ties the activities together are that they’re all connected to the day of rest. Amazing people they are Rabbi Boruch & Devorah. Truly amazing couples. Incredible! Such a great and innovative idea. Way to go! Absolutely beautiful! I can not begin to explain the amazing atmosphere the Klar’s have created in their home. I have never felt more welcome and comfortable. Thank you for all your hard work and dedication. I remember when Rabbi Klar was just talking about this as a concept… the man doesn’t stop. And Mrs. Klar has always been the sweetest lady in the world. I love this family and am so happy for them. So proud and happy for them! 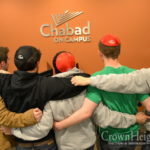 Spreading what actual Chabad is about… love and inclusion! Beautiful! 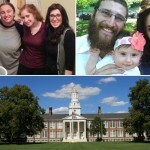 The Klars are by far the most amazing Shluchim and the epitome of Avraham and Sara’s Chessed. Keep up the amazing work me’chayil el chayil!